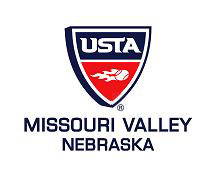 The 2011 Nebraska Tennis Association annual awards banquet is scheduled for Sunday, Nov. 13, 2011 at the Midland University dining hall. The Fremont Tennis Association is honored to host the banquet this year. Cocktail hour – 5:00 p.m. Guest Speaker: Dr. Allen Fox, author, speaker, consultant. Dr. Fox is a former NCAA champion, Wimbledon quarterfinalist and a three-time member of the U.S. Davis Cup team. He currently consults with tennis players on mental issues, lectures on sports psychology, and is the author of several books on the mental side of competition, including Think to Win, the Strategic Dimension of Tennis. Dr. Fox will also host a clinic in the afternoon. Watch for more information and registration details coming soon.